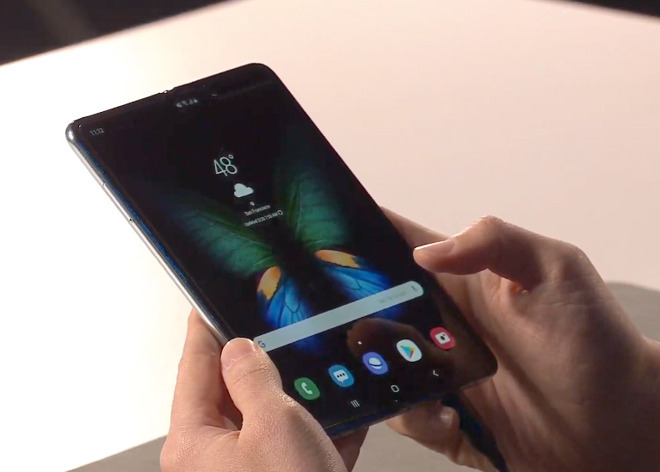 When compact the device has a 4.6-inch, 1,960-by-840 pixel screen, but it unfolds into a 7.3-inch, 2,152-by-1,536 tablet, aided by technologies like an Infinity Flex display and a hinge with interlocking gears. "App continuity" allows apps to change size on the fly, and in tablet mode up to three apps can appear simultaneously. 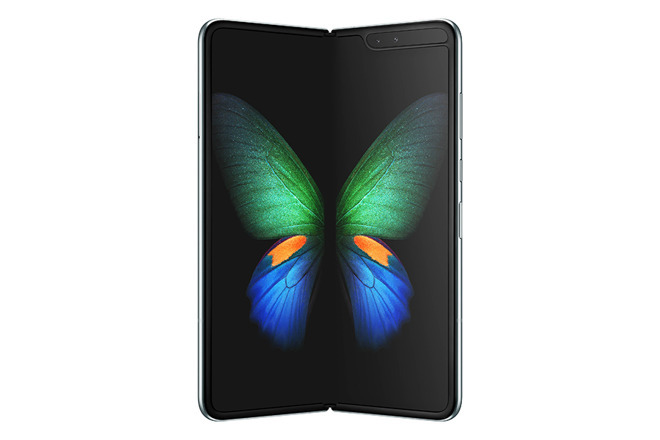 Internal specs include 12 gigabytes of RAM, 512 gigabytes of eUFS (Universal Flash Storage 3.0), expansion with microSD cards, and twin batteries offering 4,380 milliamp-hours of power. A triple-lens camera with wide, ultrawide and telephoto options works in both phone and tablet modes, and a dual-lens front camera uses its second sensor for depth data. The Fold can even charge a second device via Wireless PowerShare while connected to its own charger. 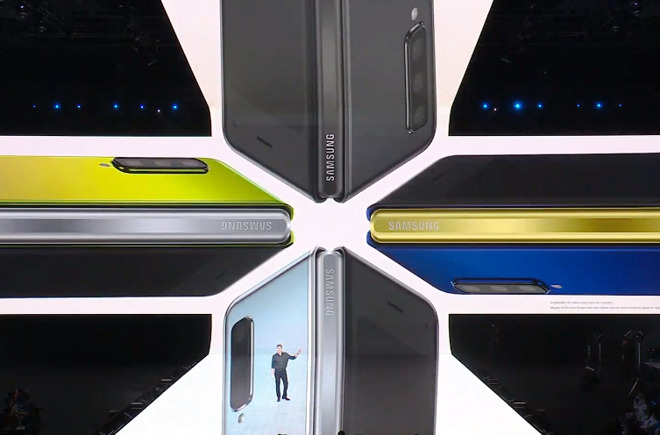 Prices start at $1,980, with colors including Cosmos Black, Space Silver, Martian Green, or Astral Blue. The phone will launch Apr. 26. Wow? If they sell 100, will they tout that as exceeding expectations? Couldn't they at least price it at $1984 or $2001? Or 1999 for the Prince fans? Apple tax. Oh wait, tech pundits are probably salivating over this and states Apple falls further behind! So where will the Apple haters be when they said Apple was too expensive? Will they be hypocrites AGAIN?! Meanwhile Apple engineers everything from the hardware to software. Samsung steals and uses others software and sells at Apple prices. Another explosive Samsung product in the making. My prediction is people experience a lot of reliability issues with this device. Phone markers are having trouble making reliable non-folding phones. This is the kind of product, at this juncture in technology, that will prove far better on paper than in reality. And phones are already too expensive. Early adopters be warned. I feel like a piker for having only a $1000 iPhone! I will give them credit, they did it the right way. Not like the one released a couple of months back (Huawei?) with the screen on the outside. That said it's still Samsung s*** running Android. Pass at any price. Though I will say I am looking forward to a folding iPhone. Apple will do it right. Something the size of a slightly thicker SE that folds out. That would be nice. OTOH I really don't need a huge screen on my phone. I have an iPad for that. I'm not sure why you need a foldable phone when you could go full AR headset and the world is your screen. Just saying. Wow, I've been browsing this forum for years, finally signed up and my first post is going to be on a Samsung phone! As a first gen product then its not that bad, they're laying the ground work for the future - which is great and something I hope Apple is doing behind the scenes as this sort of thing is the future. 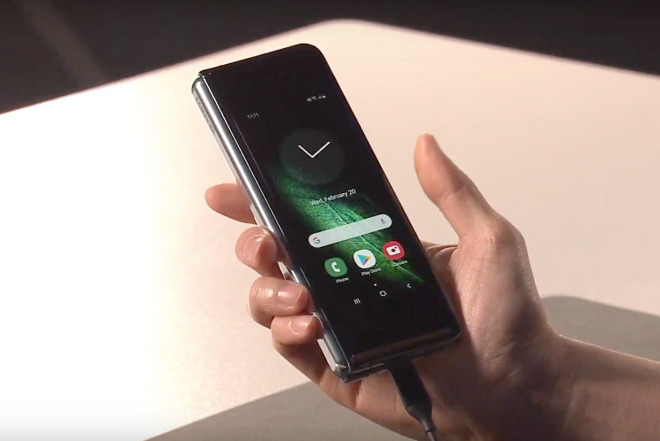 However, if this doesn't sell (which it won't) then will they carry on the R&D at a loss for say 10 years until it is as thin as current phones? Anyway, fair play for the innovation but we know apple wouldn't release such a half baked product this early. Well they certainly didn’t copy Apple this time. And see the mistakes they made. Apple theorized a folding LCD display in 1987 with their Knowledge Navigator video. The first thing that sprang to mind: How do you protect this ~$2,000 investment? And it’s going to require a LOT of protecting, since folded it’s got a screen on both sides. And it’s out as a “pocket computer”, because of it’s thickness and probably weight. Edit: This looks to me like something designed to appeal to those interested in the latest gadget rather than something truly practical and useful. Edit #2: I’ve designed a hinge for a different application that could actually allow this phone to be folded face to face. Seems to me that would be a much better way to go. Can't wait to see what the price here is going to be, given that the high-end iPhone is around the A$2000 mark already. And I wonder how many people will justify it because of the folding screen. Can't wait to see how that lasts. Seriously, I kind of half considered getting one, but not at that price, especially given it was just out of curiousity, and I had no intention of giving up the iPhone. Apple releases things when they're finished. Sammy shi*s out product to be "first". The morons claim Samsung is innovative and others copied. Repeat.